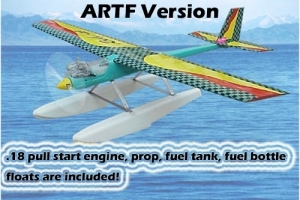 This float plane is made by Greenmodel. Conventional rib & spar wing covered and hinged with ailerons. HDPE blow-molded fuselage oil-proof and nearly in-destructible virtually assembled at the factory. 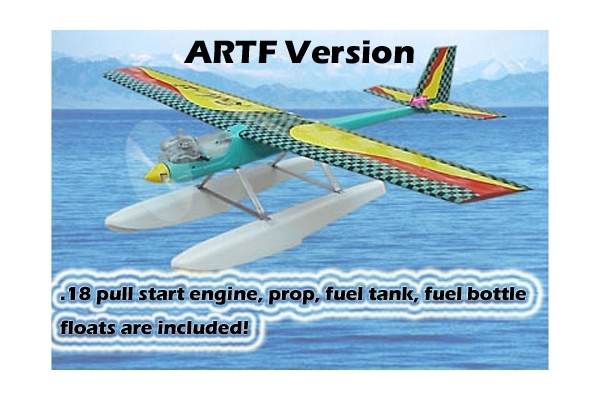 The ARTF model includes pull-start engine (.18), fuel tank, main gear, fuel bottle, propeller. 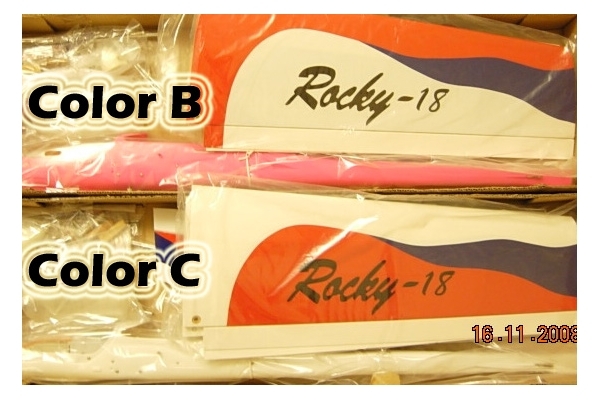 2 color schemes available. Flying weight: 1800g(including .18 2 stroke engine and float). It can be taken off on water, beach, grass, and snow. The fuselage and float are water-proof.